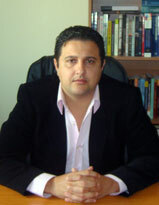 Georgios Maris is currently a Visiting Research Fellow at the Department of Politics and International Relations, Centre for International Studies (University of Oxford), Lecturer at the Neapolis University Pafos,) and Special Teaching Staff at the Department of Social and Political Science (University of Cyprus). His academic research focuses on Political Science, European Studies, European Political Economy, and International Political Economy. Georgios has also served as a consultant for the provision of technical assistance to the Greek authorities to support the establishment and implementation of an action plan for an effective SME policy in Greece at the Task Force for Greece (European Commission). Georgios held numerous fellowships and grands, including from the Centre for Hellenic Studies Anniversary Scholarship (Kings College London), and the Greek State Scholarships Foundation (IKY). He obtained his doctorate (DPhil) in Political Science and International Relations from the University of the Peloponnese, a MA in European Studies from King’s College London, a MSc in Political, Economic and International Relations from the University of the Aegean and a BSc in Public Administration from the Panteion University (Athens).